Interior design is easy when you add this high quality Safavieh Courtyard area rug to your home. Constructed to be an indoor/outdoor piece, this plush synthetic material rug is sure to make a statement in your home. This rug is machine-made, which ensures a strong product. Maintain your modern home aesthetic with this geometric patterned grey rug. 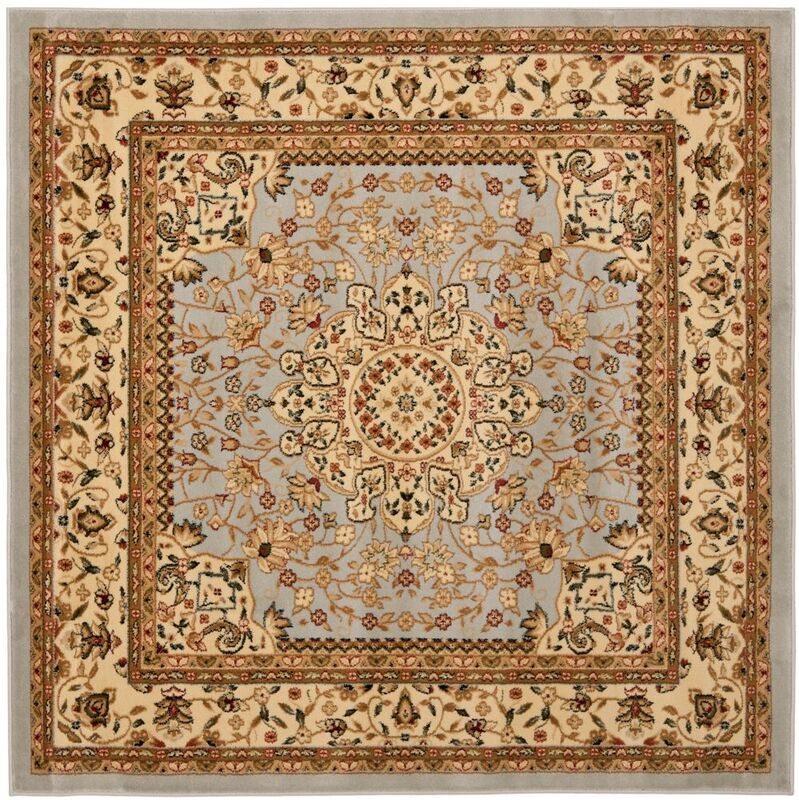 Lyndhurst Eva Grey / Beige 5 ft. x 5 ft. Indoor Square Area Rug Safavieh's Lyndhurst collection offers the beauty and painstaking detail of traditional Persian and European styles with the ease of polypropylene. With a symphony of floral, vines and latticework detailing, these beautiful rugs bring warmth and life to the room of your choice. This is a great addition to your home whether in the country side or busy city.